Japanese Maple ‘Inaba Shidare’ (Acer palmatum 'Inaba Shidare'): growing, planting, caring. 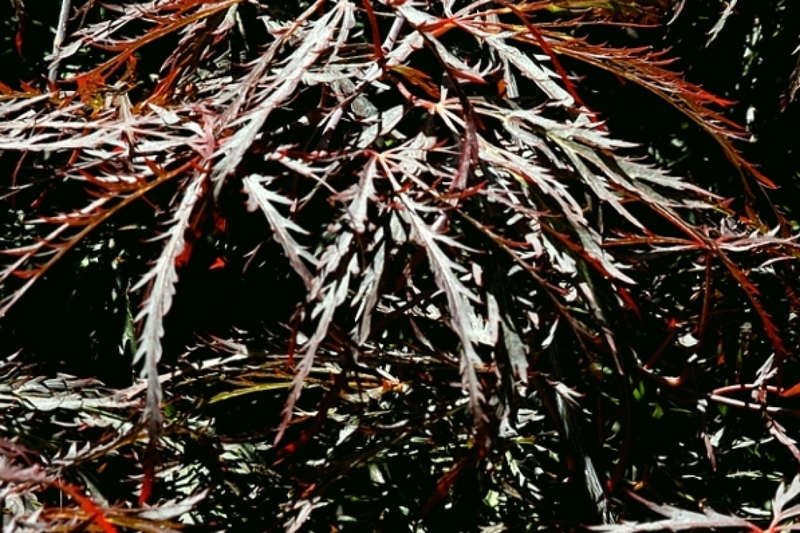 A Japanese maple with truly dark leaves. ‘Inaba-shidare' is a small but vigorous deciduous shrub with arching branches. Leaves deep purple, deeply divided into incised lobes, and becoming crimson in autumn.